Hockey Canada announced that Leduc, AB, will be hosting the Team West Junior A Selection Camp from Dec. 5-7 at the Leduc Recreation Centre (LRC). The team will depart from Leduc to go straight to Bonnyville to compete in the World Junior A Challenge. This is the second year that Leduc has held the hockey challenge. 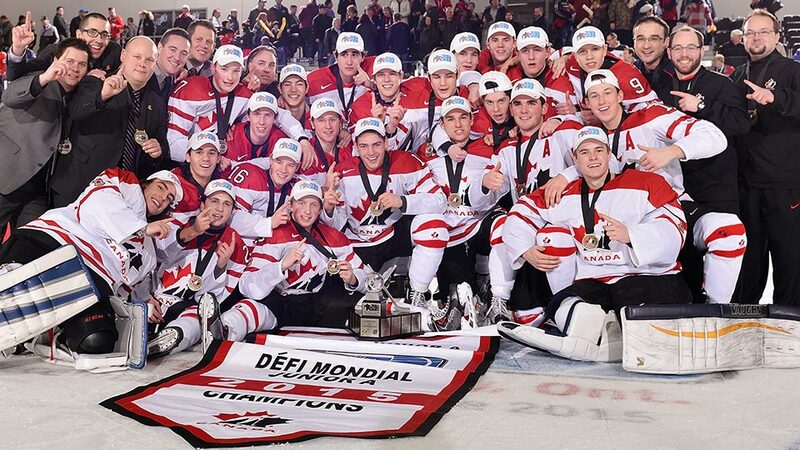 Last year, the team selected in Leduc went on to win gold at the World Junior A Challenge. Sixty players will gather to take part in games and practices in the hopes of making the final Team Canada West line-up. The LRC will host all scheduled games and practices in advance of the final roster selections for Team Canada West. "It's great to be back in Leduc for Team Canada West Selection Camp. Last year our hosts were fantastic and helped kick off our event which helped lead us to winning a gold medal,” says Trevor Alto, British Columbia Hockey League Executive Director. “This year’s camp will be equally competitive for spots on the team and we look forward to giving the community of Leduc a few days of Team Canada West Hockey." Team Canada West is selected from among the league’s five western Junior A leagues: the British Columbia Hockey League (BCHL), Alberta Junior Hockey League (AJHL), Saskatchewan Junior Hockey League (SJHL), Manitoba Junior Hockey League (MJHL), and Superior International Junior Hockey League (SIJHL). For more information on the 2016 World Junior A Challenge, please visit HockeyCanada.ca, or follow along via social media on Facebook and Twitter. Leduc is a mid-sized city of more than 30,400 citizens next door to the Edmonton International Airport along Highway 2 and 15 minutes south of Edmonton. Leduc’s average five-year growth rate is 4.8 per cent, and from 2006 to 2016 this city grew by more than 13,500 residents (80 per cent).